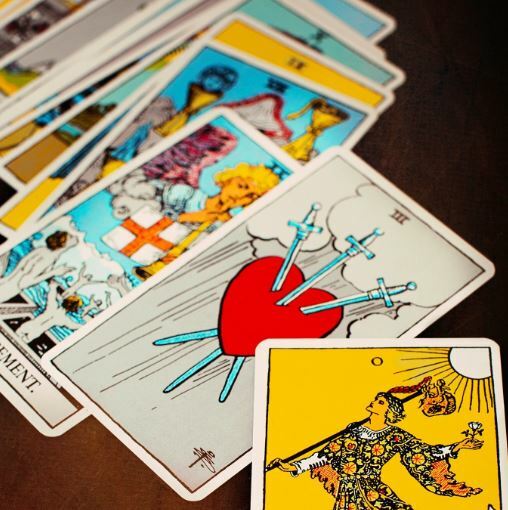 What started off as a card playing game has now been used for seeking and providing guidance. Tarot for a beginner can be daunting, particularly with the 78 cards with varied graphics and a guidebook with extremely small font. A common question is – Where do I start? Connect with your Cards. Just like a plant, you need to nurture, feed and build that relationship with your cards. The more you connect; the stronger the relationship. As you get to know the cards better; the cards get to know you. Put the Guidebook away. That’s right. If you continue to read and rely on the guidebook you are not allowing yourself to connect with your cards. You look at the card only to read what is in the guidebook. Use the guidebook as a validation not as the source to interpret the cards. Trust. Look at the card and pay attention to what messages are coming up. Try not to analyse or think too much. This will flex the trust muscle, which will become your unique language and interpretation of the cards. The more you start to trust the messages that come to you, the deeper your connection will be with your cards; and the less likely you will be to rely on the guidebook.